Providing dignity and a healthier approach to life to the labourers. We take for granted the work that needs to be done at a construction site by the labourers, but shy away from discussing the provision of proper standards of Sanitation. These are the basic requirements to offer a healthy and hygienic surrounding to the labourers, but also their families staying at labour camps. Keeping the sites tidy and clean is very important for protecting health and safety at work. Sanitation solutions for migrant labourers on construction sites was a new concept when we started. 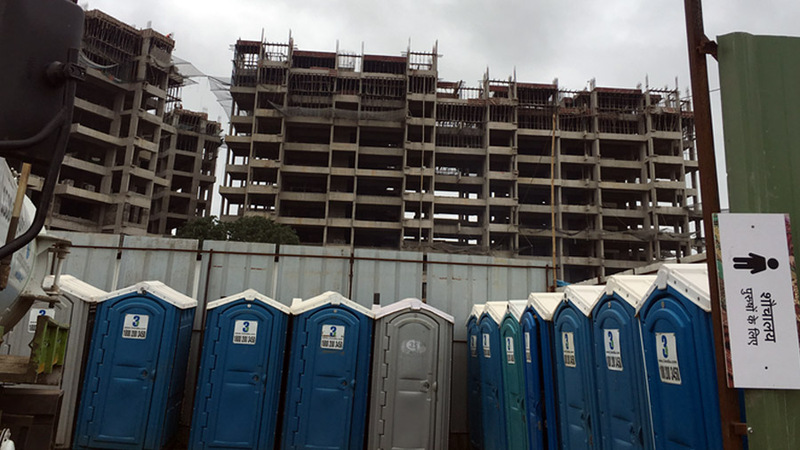 Placing the units on construction sites helped improve productivity of labourers, while keeping the site clean and hygienic. The average construction labourer frequents the toilet and restroom 3 times in an 8 hour shift. The labourer spends approximately 3-4 minutes in the restroom if it is on-site. 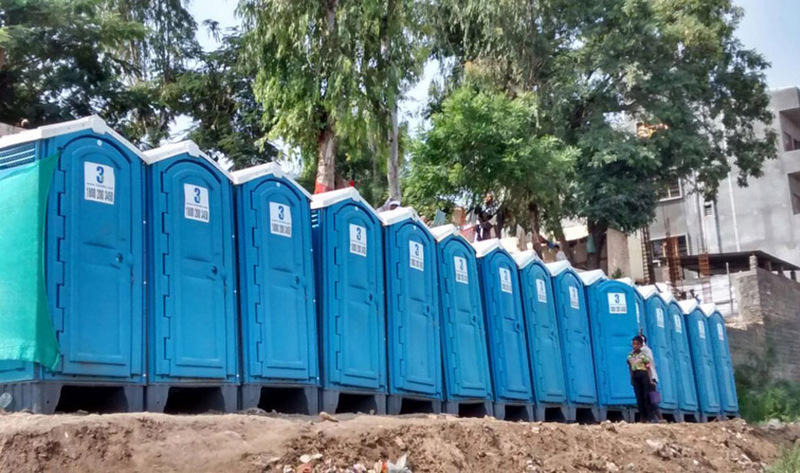 If the lavatory facility is off-site the average labourer spends 15-28 minutes travelling to the facility and then 4-9 minutes using the facility. This adds up to 19-37 minutes a trip or up to 1 ½ hours for 3 visits. If you pay a labourer Rs.250.00 per day, that can amount to each worker getting up to Rs.30-50 for per 8 hour shift to use the restroom. 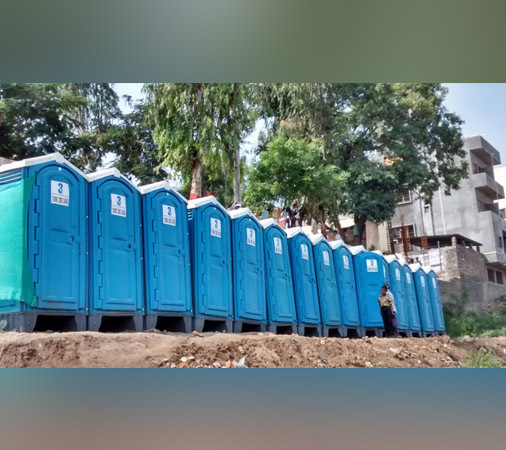 If you add this amount for every labour, you will see the cost the construction company pays for not offering portable restrooms. 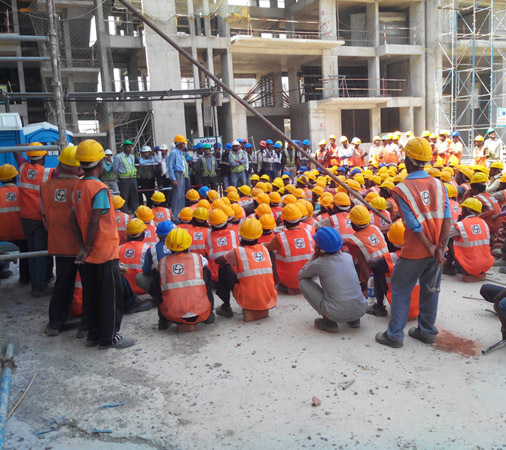 We educate labourers in urban areas who have migrated from rural backgrounds – on the importance of sanitation and hygiene through various workshops which we organize at regular intervals. We have a special group that conducts an awareness building program around benefits of sanitation and correlation between health and productivity.